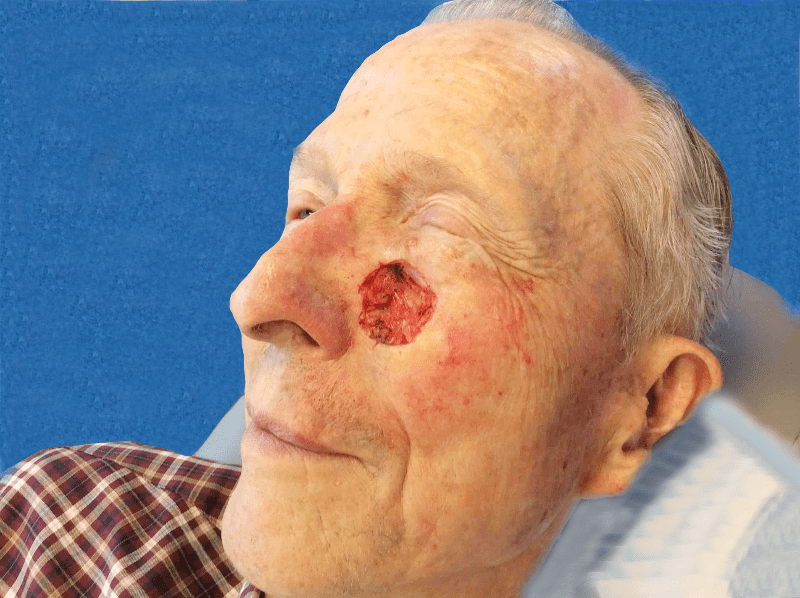 Patient with a basal cell carcinoma right lateral cheek. 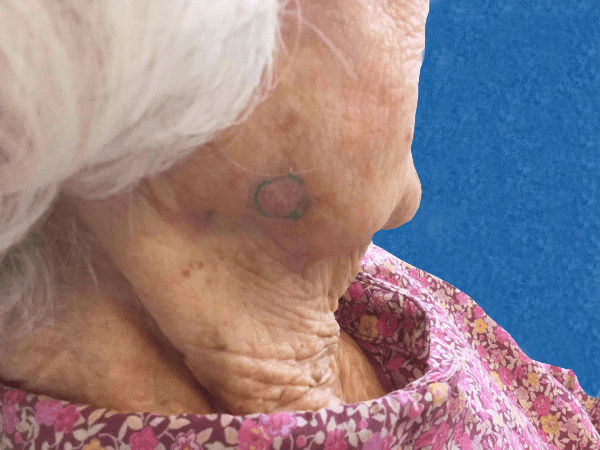 Patient underwent Mohs surgery in three stages resulting in a 1.9 cm x 1.0 cm defect. 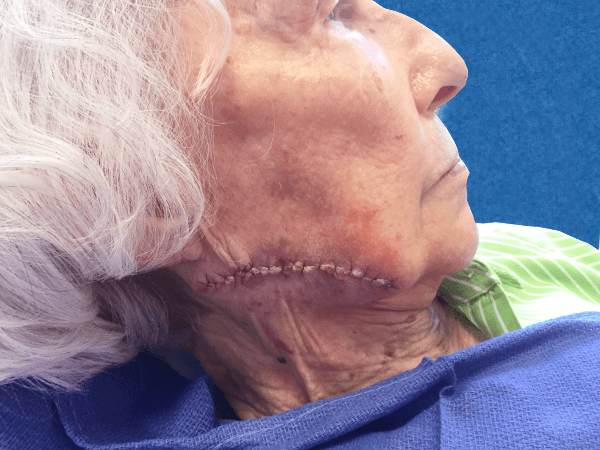 Patient underwent reconstruction with a linear closure. 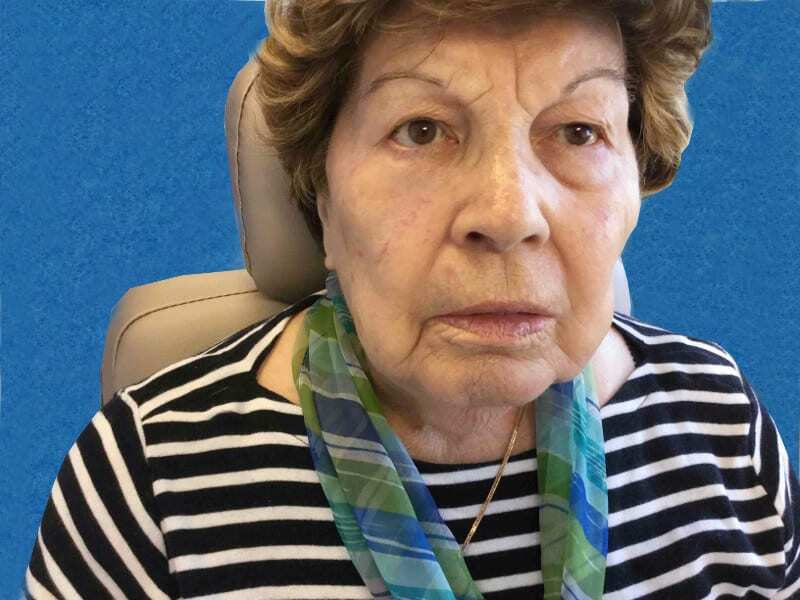 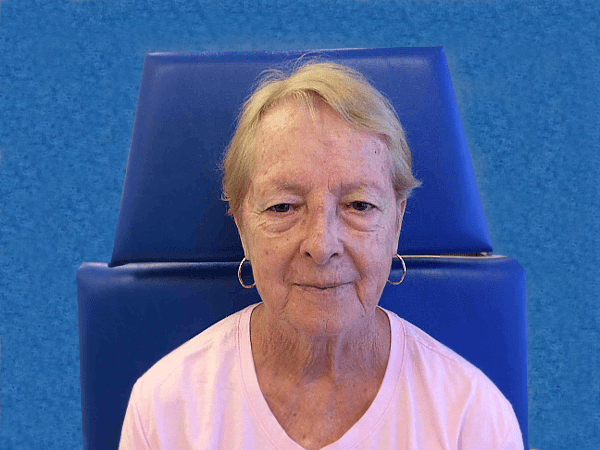 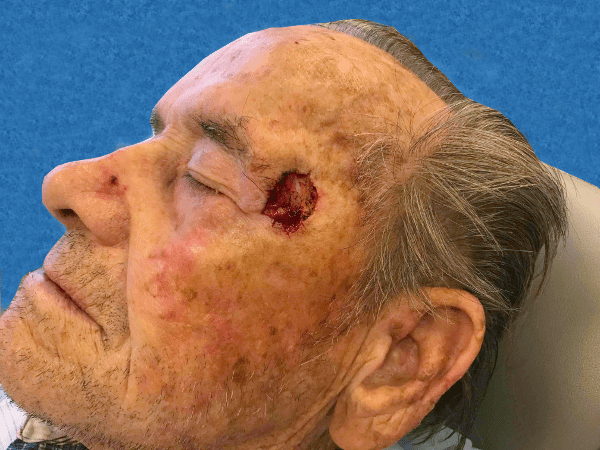 Patient with a history of squamous cell carcinoma to the right mandible. 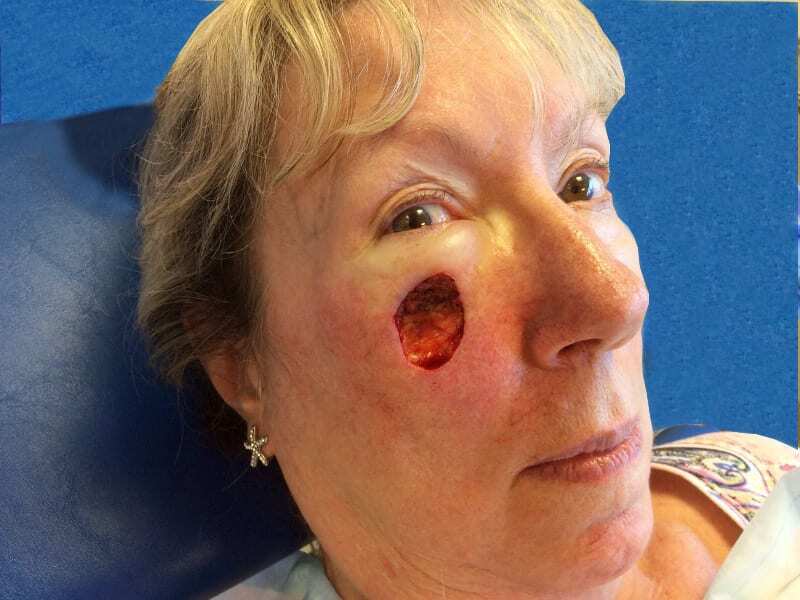 Patient underwent Mohs surgery in two stages resulting in a 3.9 cm x 2.5 cm defect. 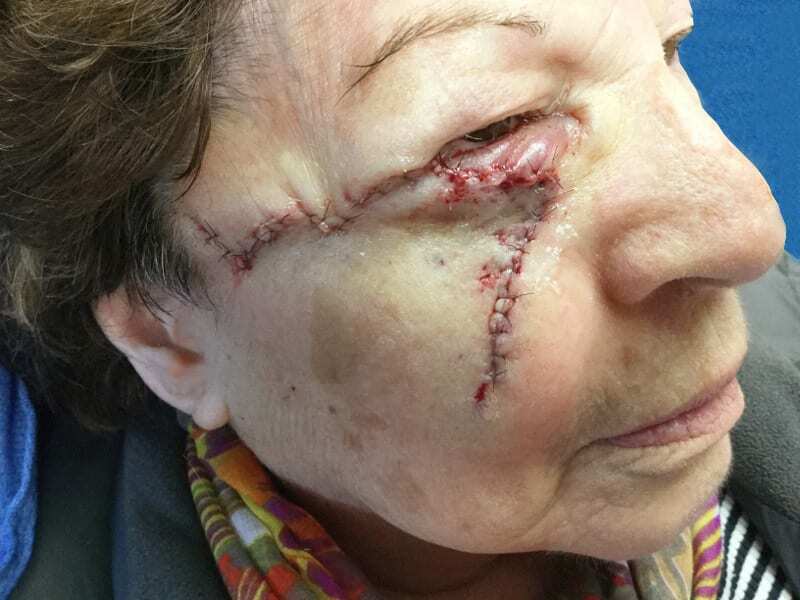 Patient underwent reconstruction with a complex repair. 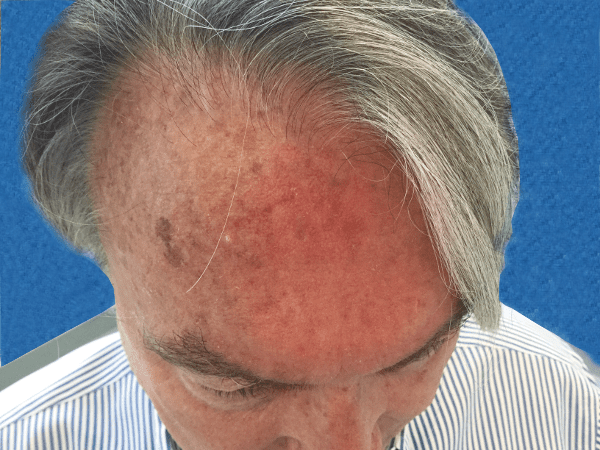 Patient with a history of basal cell carcinoma to the left lower medial forehead. 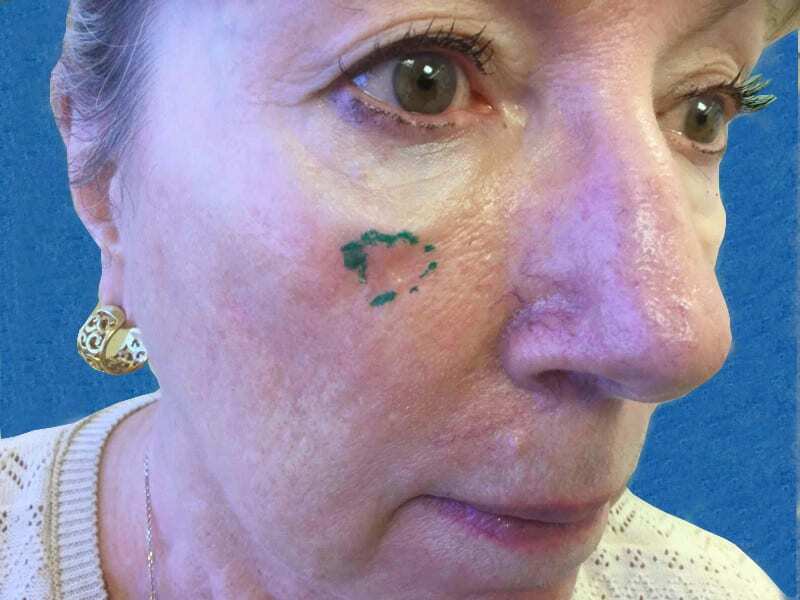 Patient underwent Mohs surgery in three stages resulting in a 1.6 cm x 1.2 cm defect. 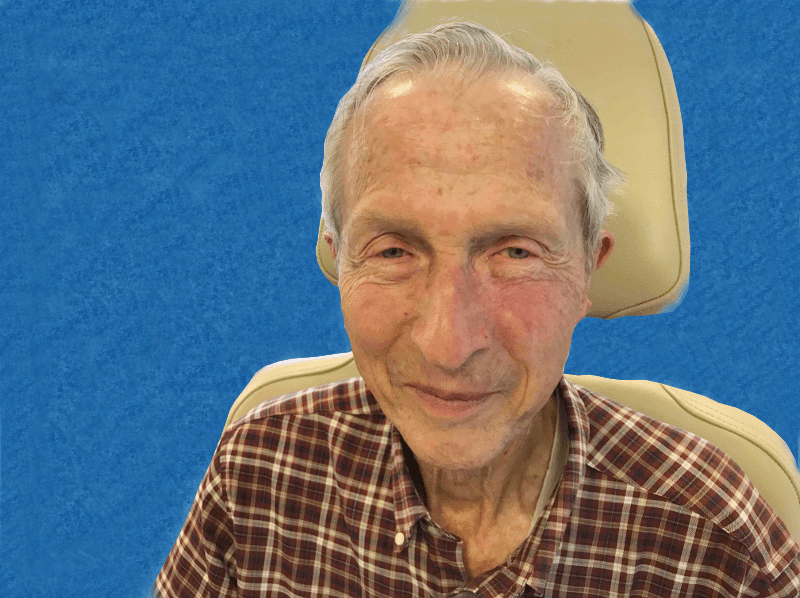 Patient underwent reconstruction with a complex repair. 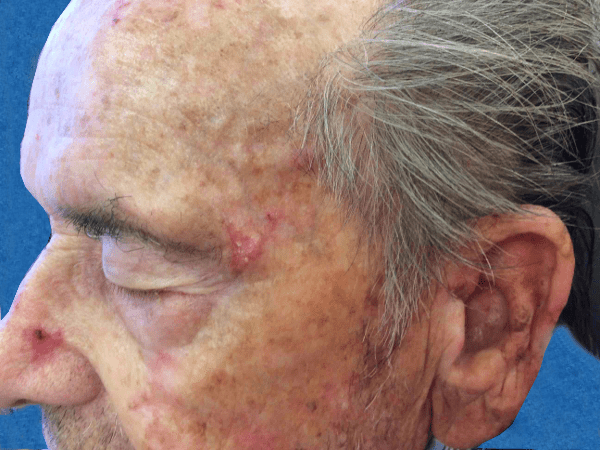 Patient with a history of basal cell carcinoma to the left temple. 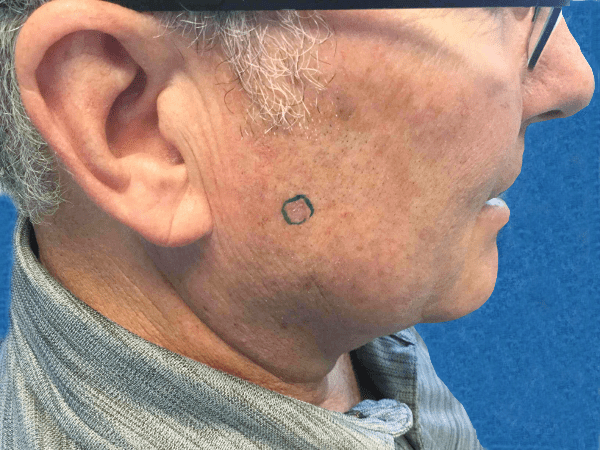 Patient underwent Mohs surgery in one stage resulting in a 2.4 cm x 1.8 cm defect. 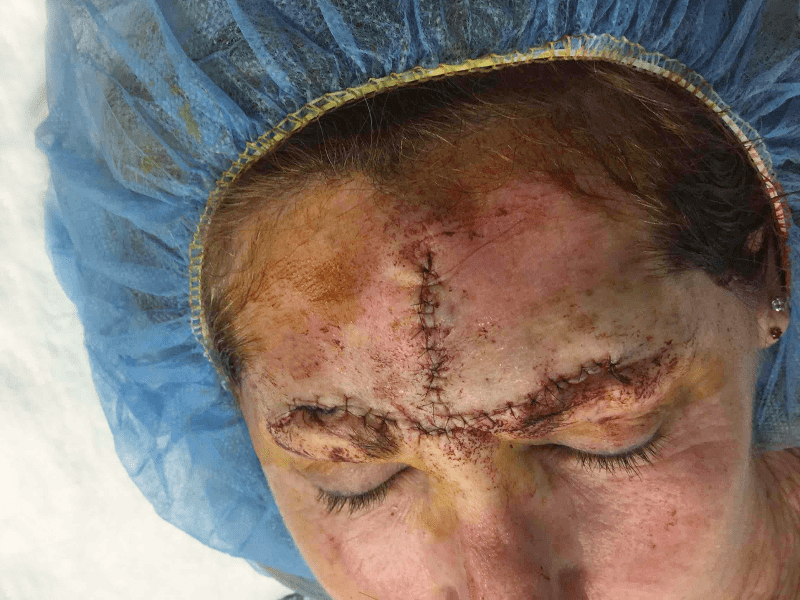 Patient underwent reconstruction with a rotation flap. 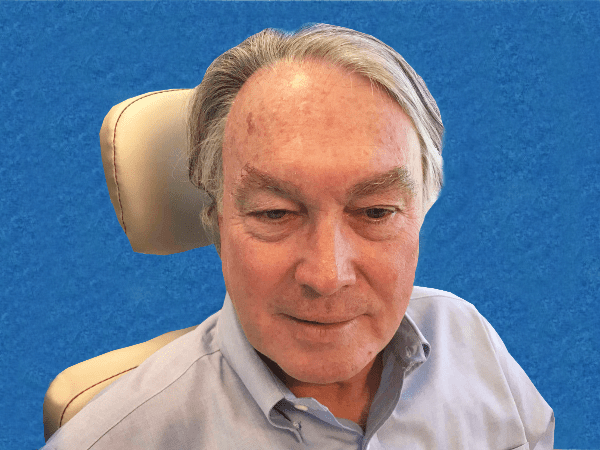 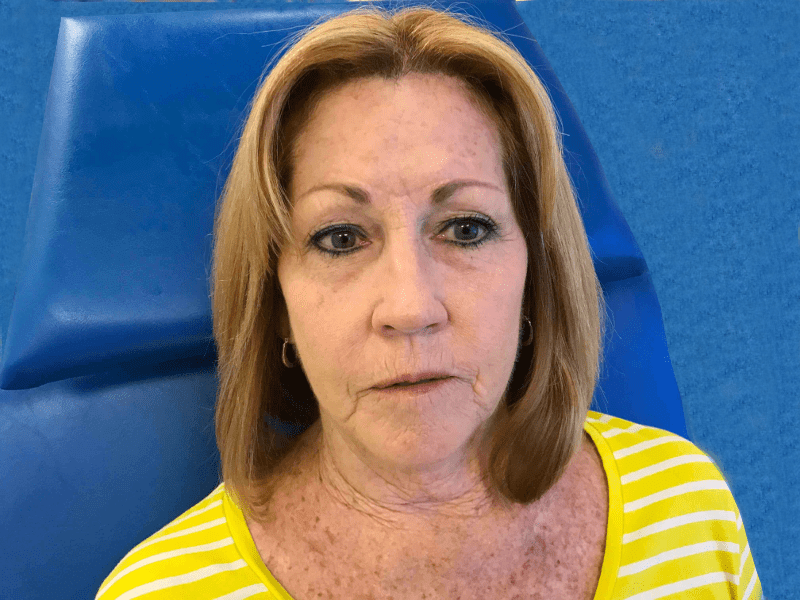 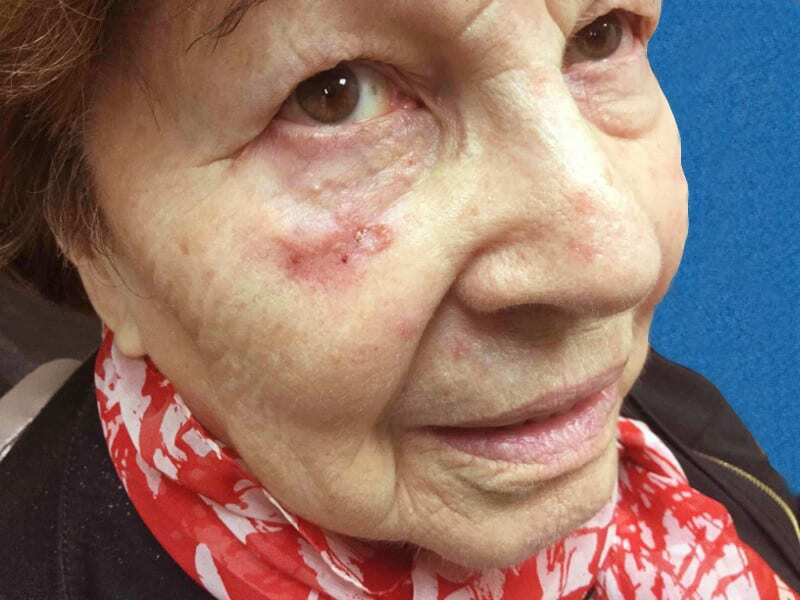 Patient with a history of basal cell carcinoma to the right eyebrow. 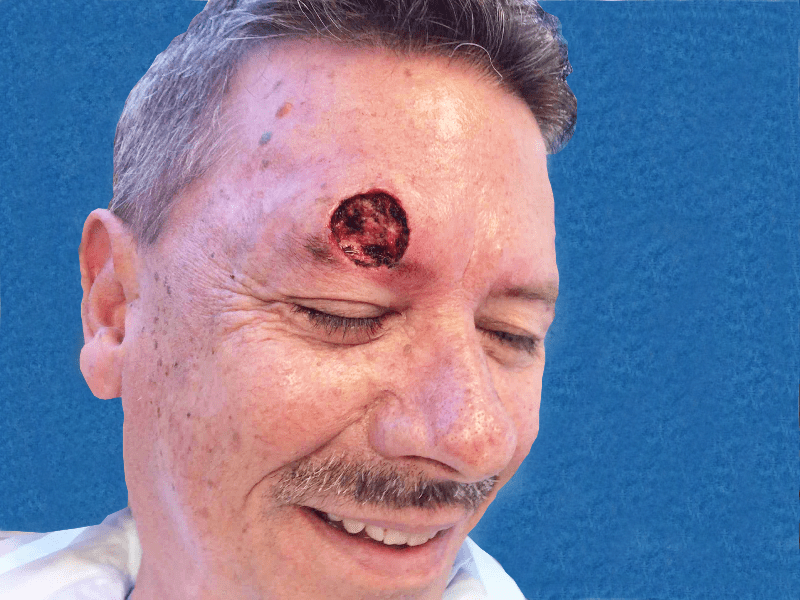 Patient underwent Mohs surgery in two stages resulting in a 2 cm x 2.2 cm defect. 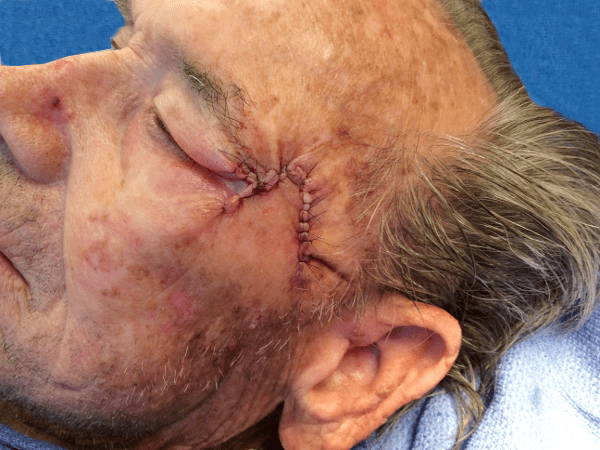 Patient underwent reconstruction with a rotation flap. 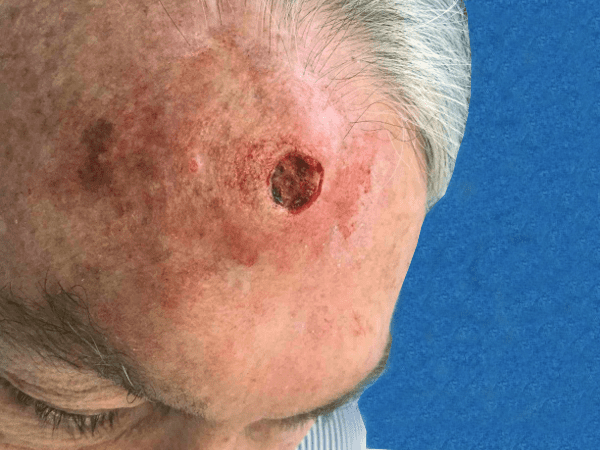 Patient with a history of basal cell carcinoma to the forehead. 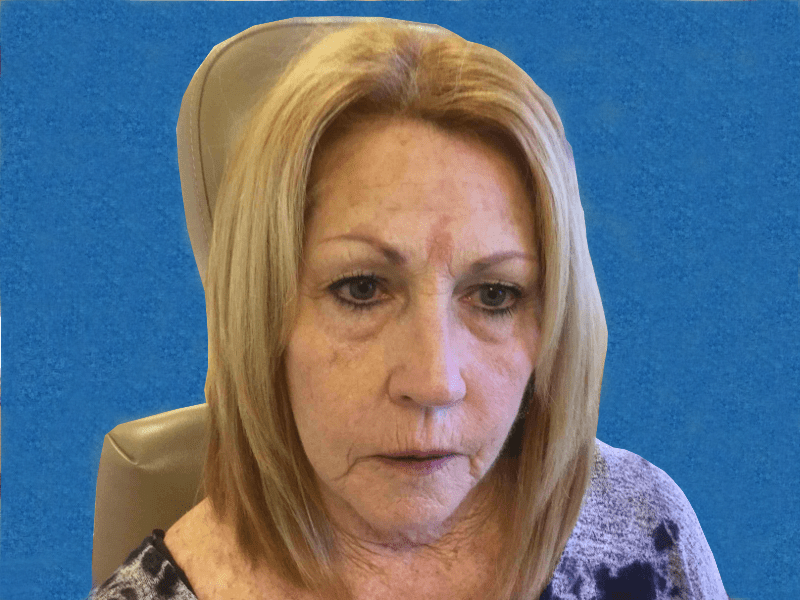 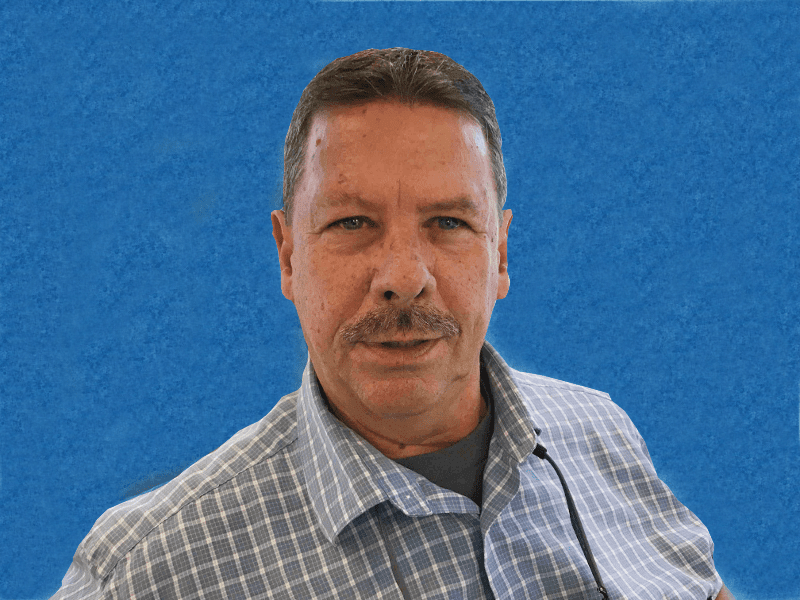 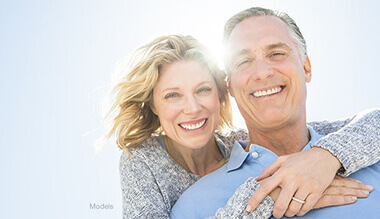 Patient underwent Mohs surgery in three stages resulting in a 12 mm x 11 mm defect. 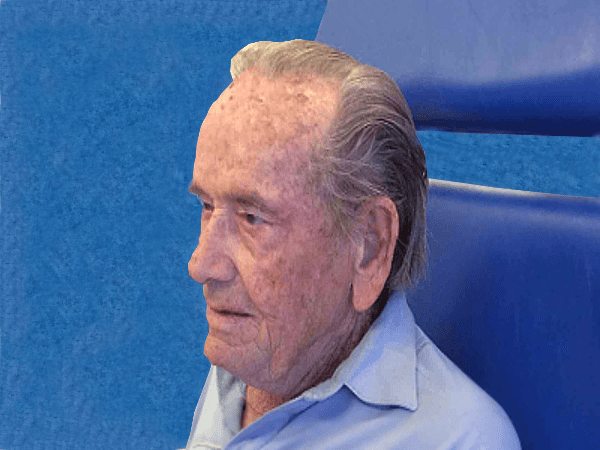 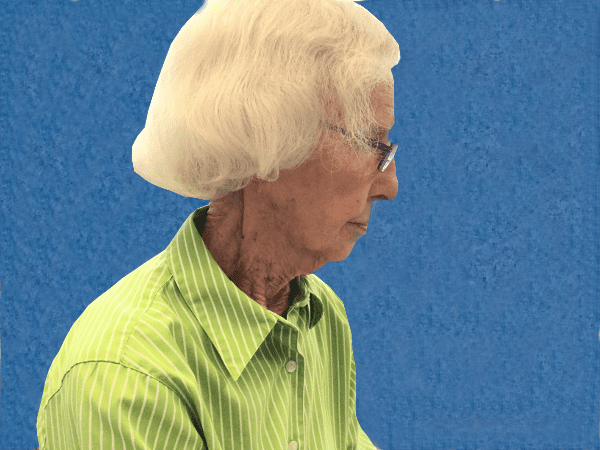 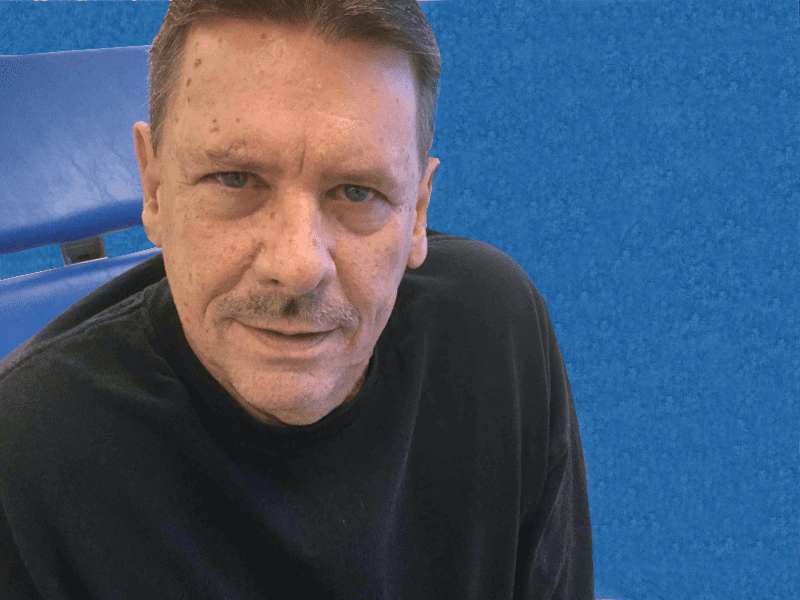 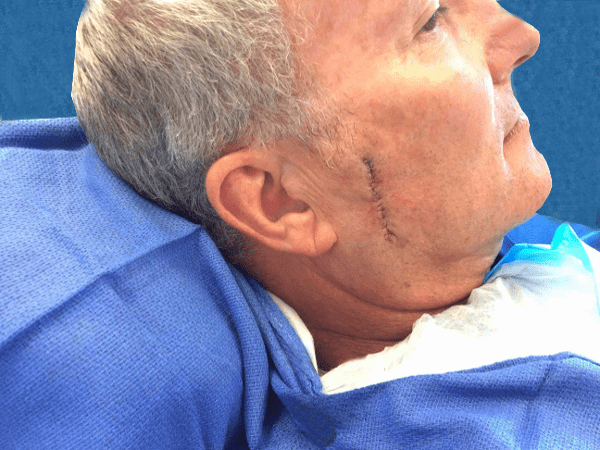 Patient underwent delayed reconstruction with a full thickness skin graft. 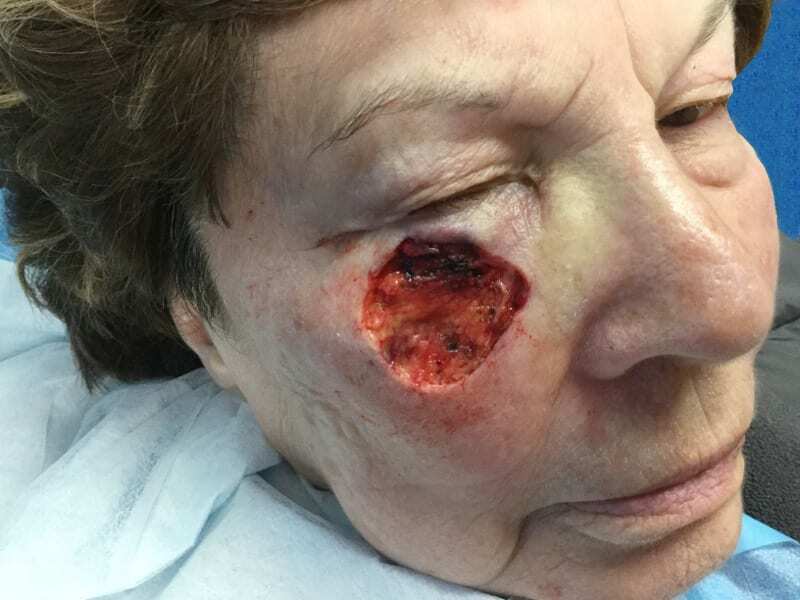 Patient with a history of basal cell carcinoma to the left medial cheek. 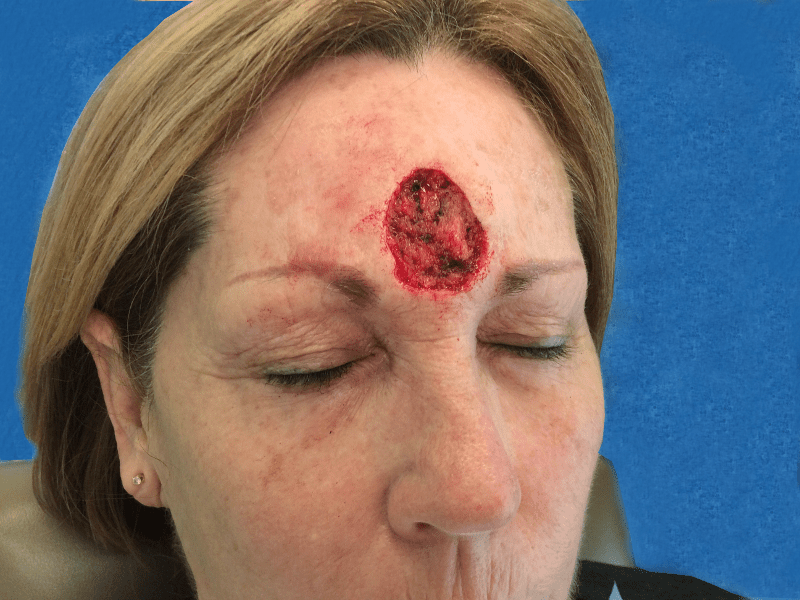 Patient underwent Mohs surgery in three stages resulting in a 3.6 cm x 2.5 cm defect. 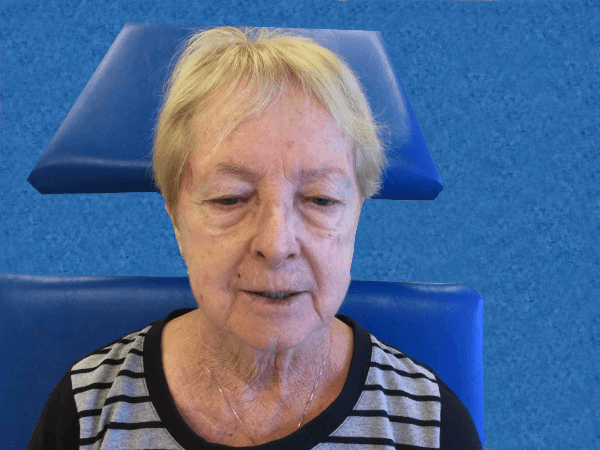 Patient underwent reconstruction with a rotation flap. 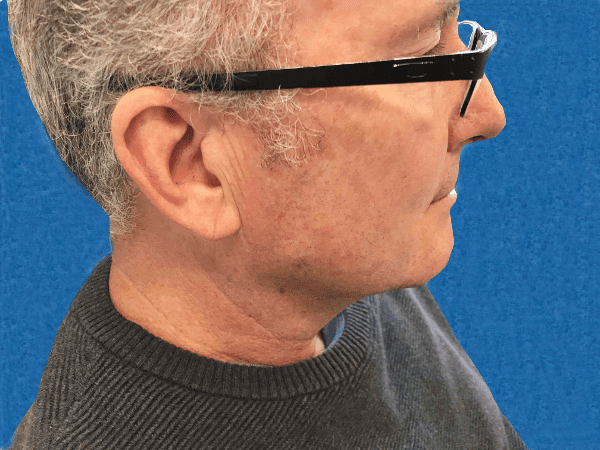 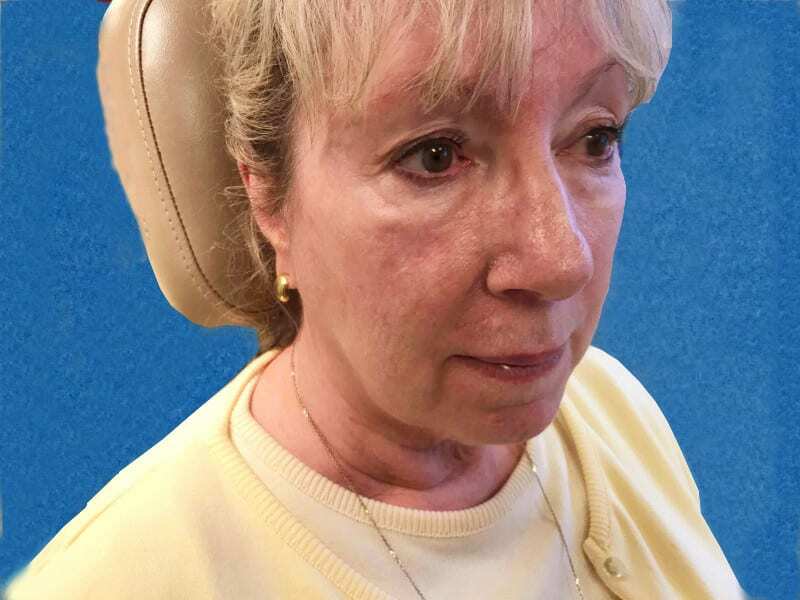 Patient with a history of basal cell carcinoma to the right suborbital cheek. 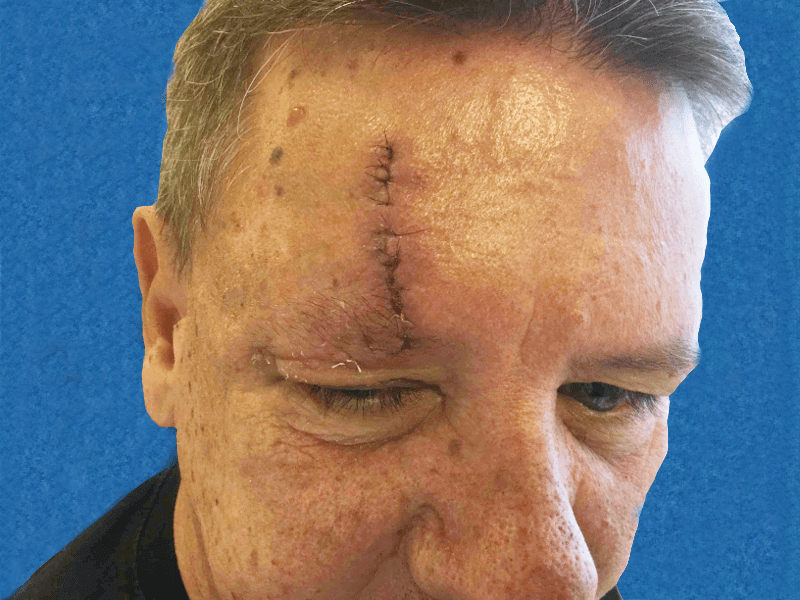 Patient underwent Mohs surgery in three stages resulting in a 2.6 cm x 2.0 cm defect. 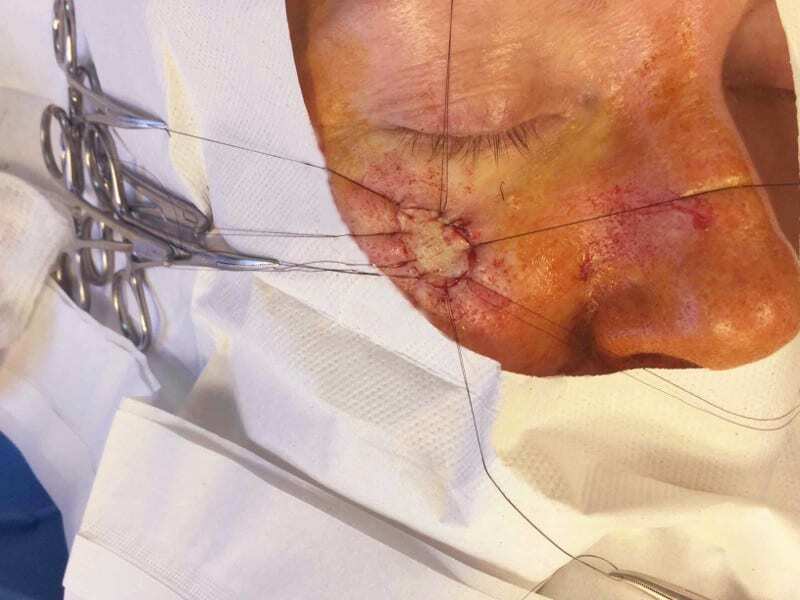 Wound allowed to granulate and then patient underwent delayed full thickness skin graft reconstruction. 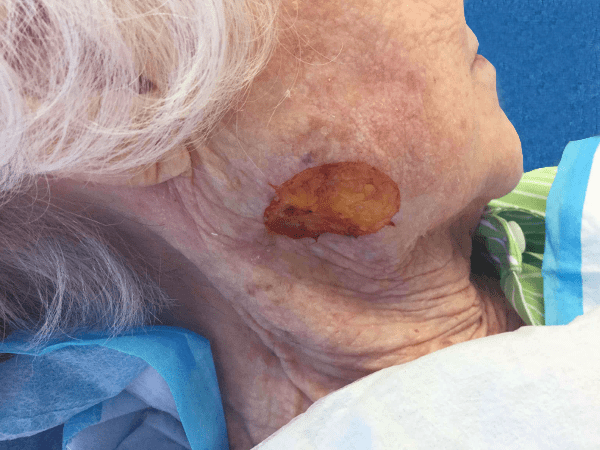 Patient with a history of basal cell carcinoma to the right suborbital cheek. 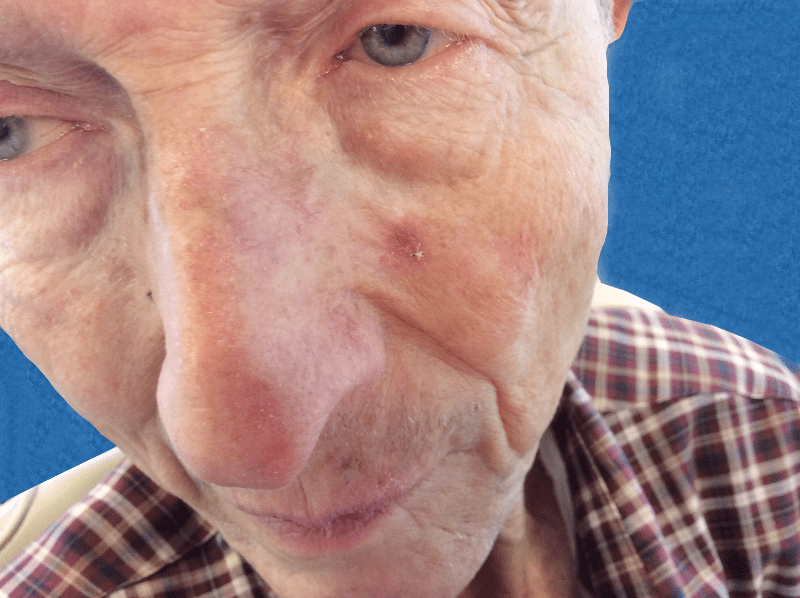 Patient underwent Mohs surgery in three stages resulting in a 3.4 cm x 3.4 cm defect. 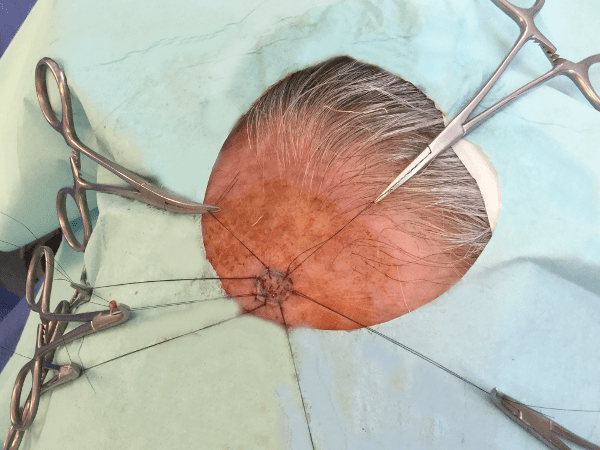 Patient underwent reconstruction with a rotation flap. 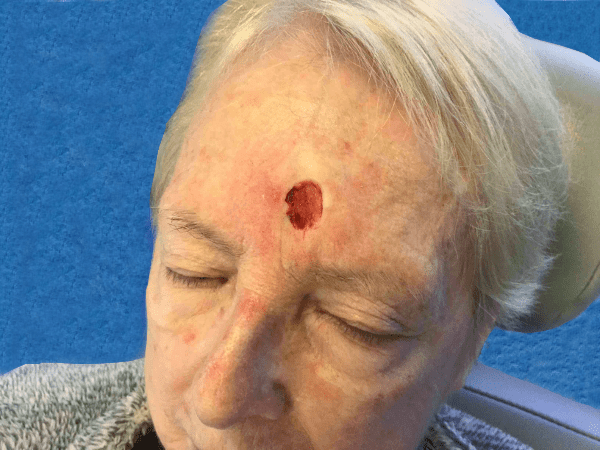 Patient with a history of basal cell carcinoma to the mid lower forehead/glabella region. 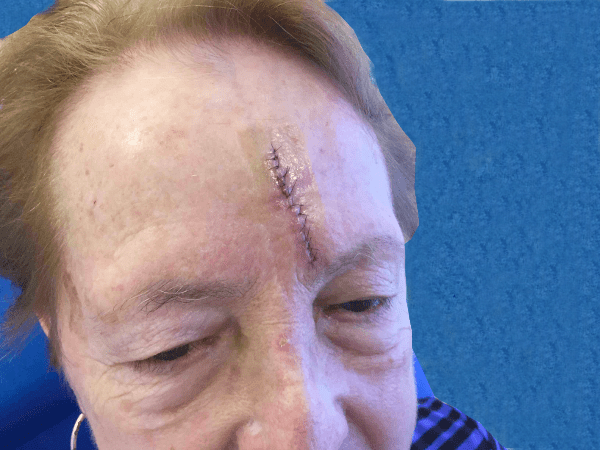 Patient underwent Mohs surgery in two stages resulting in a 2.5 cm x 2.1 cm defect. 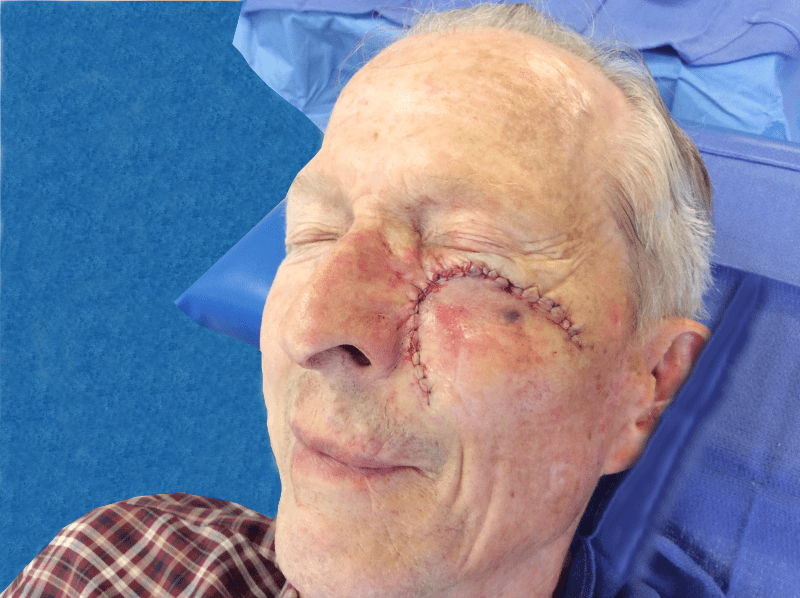 Patient underwent reconstruction with a rotation flap.